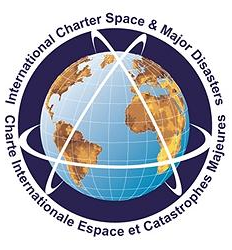 Nov 30, 2014 • The International Charter is a system that supplies free satellite imagery to emergency responders anywhere in the world. The Charter concept is this: a single phone number is made available to authorized parties providing 24/7 contact to a person who can activate the charter. Once activated, a project manager takes charge. The project manager knows what satellite resources are available, how to task them to collect data, and how to quickly analyze the collected data to create impact maps for first responders. These maps, provided to responders for free, often show where the damage is and where crisis victims are, allowing responders to plan and execute relief support. You can think of the Charter as a one-stop-shop for impact maps—an essential resource, since in many cases satellite data are the only practical method to assess current ground conditions after a disaster.